At 180 Medical, we like to do all we can to support important causes and participate in charitable events when we can in the community. This year makes it our sixth year to participate. 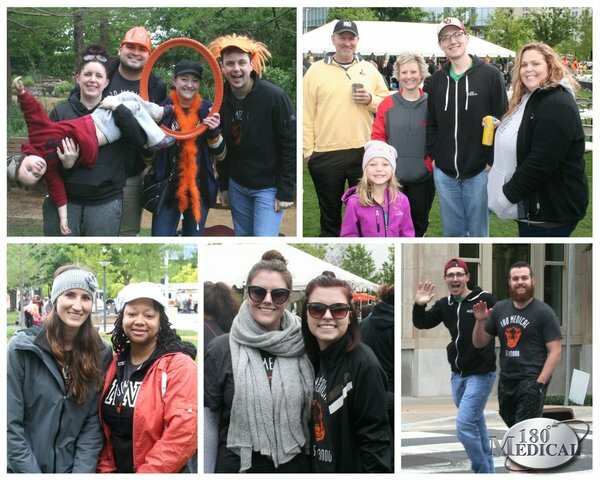 The National MS Society’s Walk MS event is always a great time for us to get together with our fellow co-workers, connect with others, and do our part to raise funds for the MS Society and take steps to end Multiple Sclerosis for good. MS affects more than 2.3 million people across the world, and as of today, there is still no cure, but every day gets us closer, and every dollar raised means a great deal to those who are living with Multiple Sclerosis. 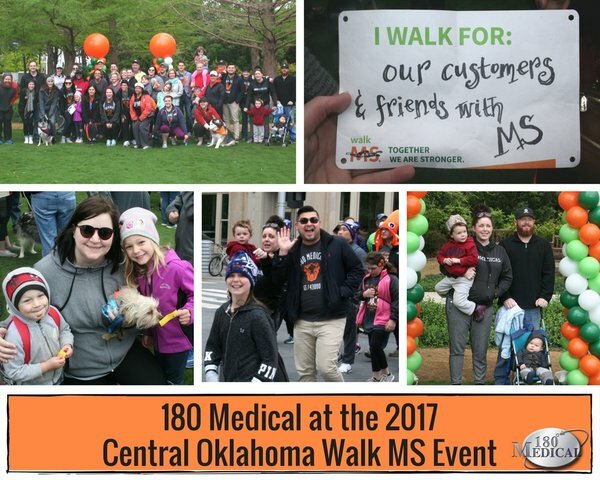 This year’s Central Oklahoma Walk MS was held at the Myriad Botanical Gardens on April 22nd, 2017. Everyone who came out had a blast, and as always, many of us brought our families and our dogs for the morning out. We also loved getting to meet people who came by our 180 Medical table. A local group of high school marching band drummers came out to lead everyone when the walk began at 10 a.m., and the path led us around some beautiful sights and building around downtown Oklahoma City. Just as it is for us every year, we had a wonderful time supporting a wonderful cause, and we look forward to the future Walk MS events.